Ben Guymer has developed his trapeze dongers to make it a little easier getting out on trapeze quickly like the pro 49er sailors do but without their level of fitness and skill. The trapeze donger helps you get out on the wire singlehandedly. Once you are out, hanging on by the handle, you can control where the ring goes and get it to meet up with your trapeze hook. This allows you to keep your other hand steering or trimming and, more importantly, means your other hand or your crew, is not trying to hook you up. Use that hand to steer or gybe the kite whilst quickly getting your weight to help bear away out of a tack or blow the kite thru a gybe. I have been using a carbon fibre home made version since 2002 on my 12 foot skiff. 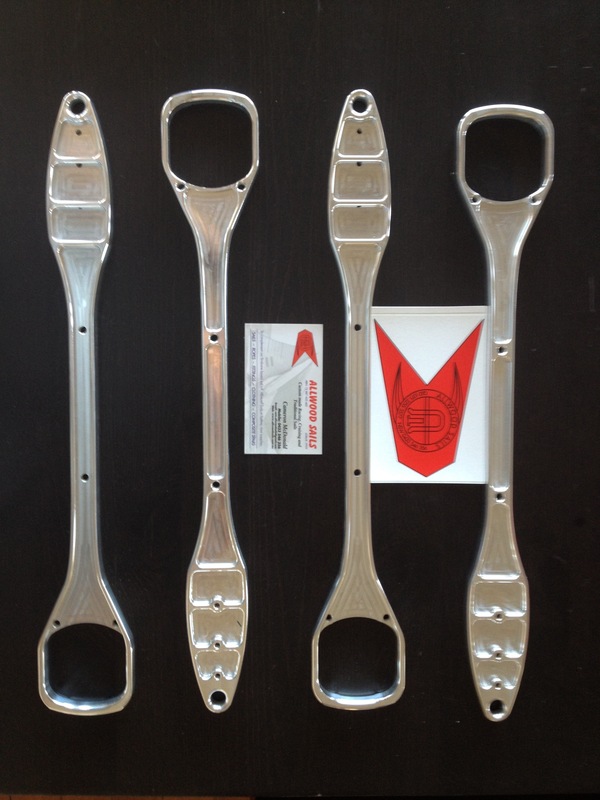 I used Ben’s aluminium trapeze donger all last season steering the 18 foot skiff. I highly recommend them. Ben designed them and been using them for a few years now in various design iterations. 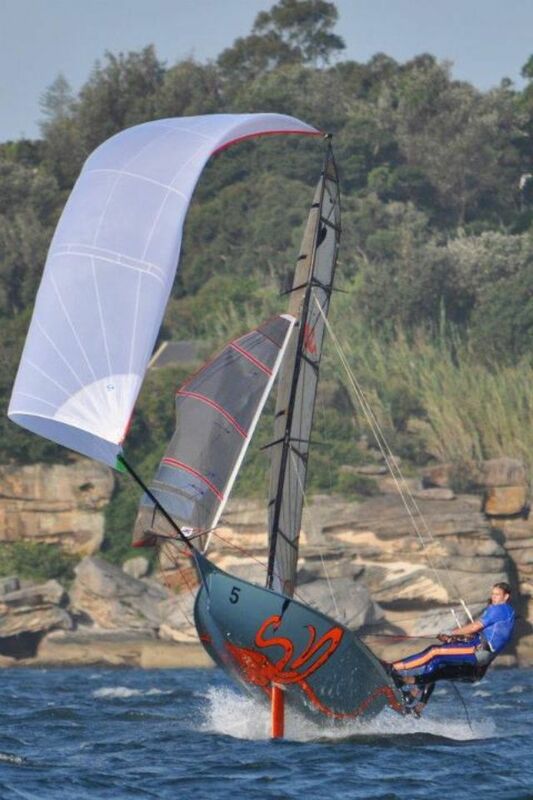 Allwood Sails in Sydney have ‘em in stock now for 110$ each. Email or call Cam to buy a pair or discuss how they might help your trapezing. Email: cam@allwoodsails.com or phone 0433 546 356 (outside business hours). Great for skiff sailors. Even better for the Contender and Musto Skiff guys. Plenty of the 12 foot skiffs in Brisbane are using trapeze dongers. 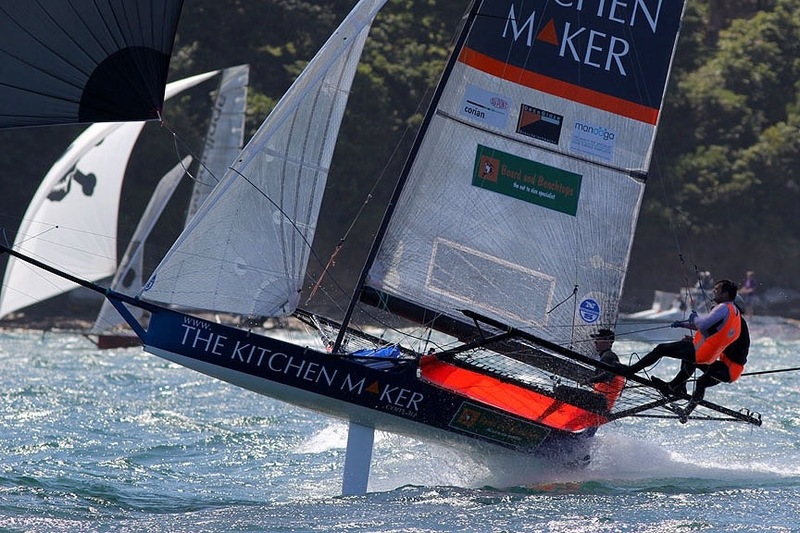 Squid in action at the 2012 12 foot skiff Australian Championships. Ali Chapman photograph!